Manoj Kewalramani is a multimedia journalist based in New Delhi. Over the past 11 years, he has worked with prominent news networks in India and China. His news and editorial work includes field reporting, commissioning and managing assignments and producing shows and documentaries along with formulating and executing digital news strategies. Manoj is an alumnus of Takshashila’s Graduate Certificate in Public Policy. At Takshashila, he curates a weekly brief, Eye on China, which tracks developments in China from an Indian perspective. A weekly bulletin offering news and analysis related to the Middle Kingdom. This week, Xi asks the world to Sell in China, and has a good phone call with Trump. To blunt criticism about its policies in the Xinjiang region, the Chinese Communist Party has adopted a set of measures ranging from denial to opinion management. A weekly bulletin offering news and analysis related to the Middle Kingdom. This week, the newsletter covers the "two unwaverings," China's new security vision, the ASEAN-China drills and much more. A weekly bulletin offering news and analysis related to the Middle Kingdom. This week, Xi works on boosting confidence as the economy stumbles. A weekly bulletin offering news and analysis related to the Middle Kingdom. 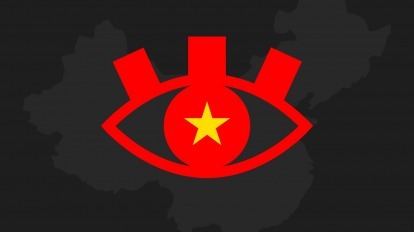 This week, the US pushes back against China's "state-sponsored repression, surveillance, indoctrination and brutality." A weekly bulletin offering news and analysis related to the Middle Kingdom. This week, criticisms from the US, a big hack and relations with South Asian countries dominated the headlines. Quiz: Can you master Xi’s Thought on Diplomacy? A weekly bulletin offering news and analysis related to the Middle Kingdom. This week, Trump escalates, as opportunities open up for India and Australia. A weekly bulletin offering news and analysis related to the Middle Kingdom. The long term effects of the trade war, Sino-Pakistan ties and the World AI Conference dominated headlines. A weekly bulletin offering news and analysis related to the Middle Kingdom. This week, pancake diplomacy, India's 'wily' diplomacy and treatment of ethnic Uighurs dominated headlines. A weekly bulletin offering news and analysis related to the Middle Kingdom. This week, summits with African countries and the Pacific Islands dominated the headlines. A weekly bulletin offering news and analysis related to the Middle Kingdom. This week Xi Jinping places party loyalty over all else while his defence minister visits India. A weekly bulletin offering news and analysis related to the Middle Kingdom. This week, Xinjiang, Pakistan and Doklam dominated the news. A weekly bulletin offering news and analysis related to the Middle Kingdom. This week, China's ties with Australia, India and ASEAN are on the mend. A weekly bulletin offering news and analysis related to the Middle Kingdom. This week, Xi aims to modernise the PLA and control its veterans, even as opposition to him grows. A weekly bulletin offering news and analysis related to the Middle Kingdom. This week, Xi Jinping's visit to Africa and the BRICS meeting saw the signing of many deals. A weekly bulletin offering news and analysis related to the Middle Kingdom. This week, President Xi Jinping leaves for his foreign tours while a trade spat unfolds at the WTO. A weekly bulletin offering news and analysis related to the Middle Kingdom. This week, China edges closer to the Arab world and Europe, while India stands to benefit from the trade war with the US. A weekly bulletin offering news and analysis related to the Middle Kingdom. 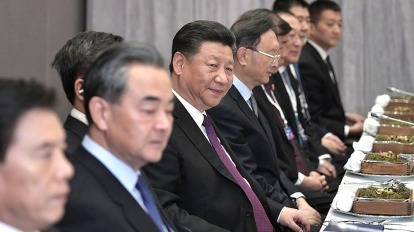 This week, China formulates a multi-pronged strategy to deal with the trade war thrust on it by the US, the Communist Party turns 97 and India makes a concession. A weekly bulletin offering news and analysis related to the Middle Kingdom. This week, Xi outlines his vision for a new world order, as China and India become unusual bedfellows.